New Forest Lodges are a selection of exceptional properties situated on a working farm in a wonderful rural setting. On the edge of the New Forest Park, they offer peace and tranquility, as well as easy access to an abundance of wonderful rural activities. 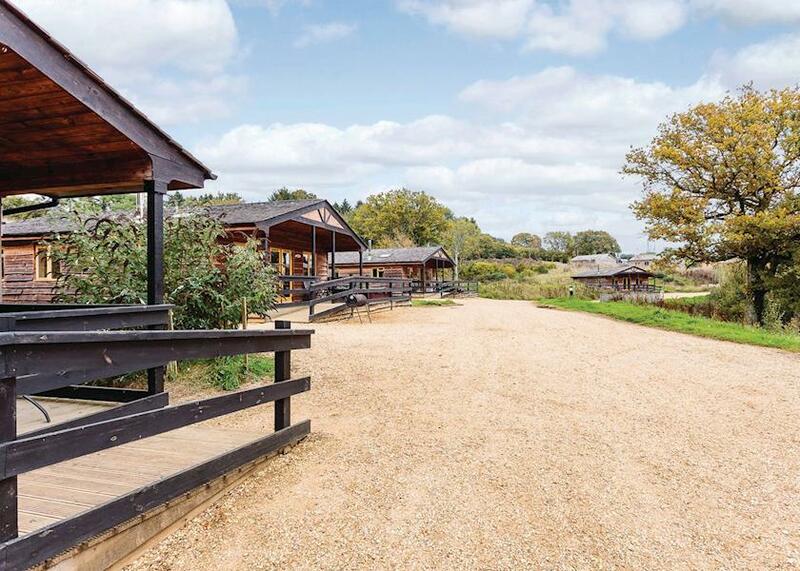 Guests can choose from a selection of bright, spacious luxury lodges, each with panoramic views over charming woodland and several small lakes. A particular highlight, each one has a large sheltered verandah with outdoor furniture and a fabulous hot tub. These secluded bits of heaven make a wonderful spot for a morning coffee or some al fresco drinks on a warm summer’s evening. While inside, the lodges all have flat screen TVs with DVD players and traditional wood burning stoves. So there is plenty to keep you entertained if you want to curl up on a chilly evening. There is a well-equipped kitchen including microwave, dishwasher, fridge/freezer and washer/dryer. Rent includes bed linen, duvets and towels, as well as electricity. In addition, cots and highchairs are available for £12pw each. Pets welcome, charged at £35 pw each (max 2). Please note: Group bookings may be subject to restrictions. All non smoking accommodation. Pamper pack for couples – Champagne, fresh flowers, chocolates and use of bathrobes – £95 per pack. (Must be ordered at time of booking and paid for prior to arrival). Despite their secluded setting, these fantastic properties are within easy each of a wealth of excellent facilities and exciting entertainment. The charm and majesty of the woodlands, heathlands and coastline of the New Forest and Dorset afford exceptional walking and cycling. Alternatively, with the rural market towns of Ringwood and Fordingbridge close by, opportunities to explore the numerous delights of this enchanting area abound. They are also close to the spectacular Dorset coastline, with its dramatic cliffs and fascinating history. Brownsea Island sits in Poole Harbour and was the site where Henry VIII constructed one of his coastal castles in the 1540s. Now in the care of the National Trust, Brownsea is a vital habitat for red squirrels and other local wildlife. There are lots of stunning gardens to visit within easy reach. Dean’s Court garden are lovely, partly-wild gardens that surround what was once the Deanery to the Minster. While slightly further afield, Knoll Gardens is another nature lovers’ paradise. Home to one of the country’s most extensive collections of grasses, the four-acre garden features specialist plants to discover. Meanwhile, there are a vast array of stunning walks throughout the region. Wool Dorset Loop is a circular route around the lovely countryside. Mainly on quiet country lanes, it’s a great route for all abilities. Or Wessex Ridgeway is a fantastic, varied walk that showcases the beautiful scenery to its best. For a truly ambitious adventure, the South West Coast Path stretches over a huge 630 miles and takes in the vast, dramatic views of this spectacular coastline. Of course, you don’t have to do the whole lot, just pick your spot and enjoy some of the finest views in the country. Finally, after either a hard day’s exploring or soaking up the sun, head back to your sumptuous lodge and bask in the height of luxury.